Most people that carry a concealed handgun every day also carry a knife.  Here at Have Gun Will Train Colorado we are offering several lines of knives that we are dealers for. One of those lines is Blackhawk. You all recognize the name Blackhawk for their concealed handgun holsters and other tactical gear. One reason people carry knives is the utility use, the other is that sometimes you can not carry a concealed handgun, or you are going to some location that prohibits it. Knives make great alternative personal protection. We will be having a knife training session soon in our training program. Let us know if you are interested in attending. 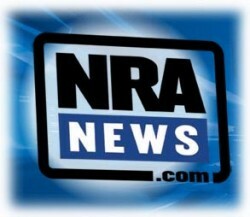 Owners of concealed handguns need many products to maintain or enhance the tools of self-protection. Concealed Handgun Owners also like…..
We handle other knife manufacturers in our line. CRKT, Kershaw, Gerber, and Spyderco just to name a few. 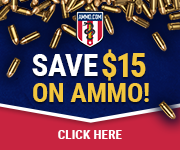 Tactical lights, Optics and products by Gun Vault are all available through our supplier. Check with us and we will get you a competitive price. 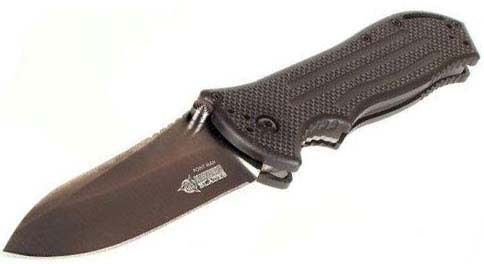 Blackhawk Crucible II Folder 4 3/4″ closed linerlock. AUS-8A stainless spear point blade with dual thumb studs and black PVD coating. Black textured G-10 handles. Lanyard hole. Reversible black finish stainless pocket clip. Blackhawk Point Man Standard. 4 1/2″ closed linerlock. AUS-8A stainless black PVD coated drop point blade with thumb studs. Black textured G-10 handles. Pocket clip. Blackhawk Kalista II Standard. 7 1/4″ overall. 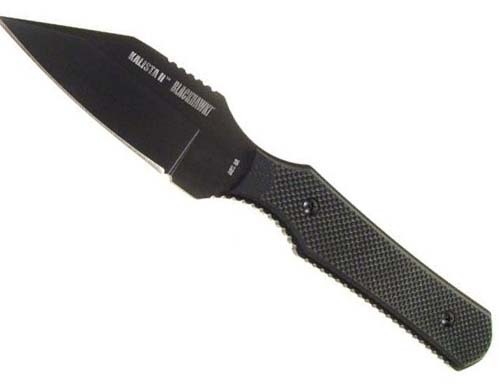 3 1/4″ black PVD coated AUS-8A stainless standard edge blade. Full tang. Textured black G-10 handles. Lanyard hole. Black injection molded nylon belt sheath with Total Concealed Carry Solution (TCCS) concealment package. This sheath system supports concealed and duty carry and includes sheath, inside-the-waistband belt loop, and both paddle and belt-carry hardware. 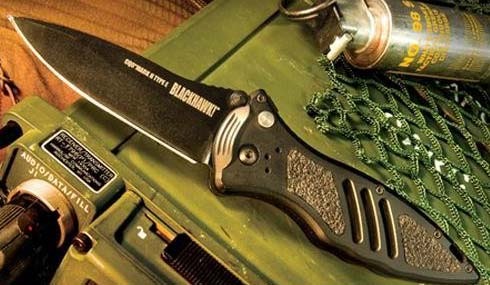 It is also compatible with all BlackHawk CQC holster mounting hardware. Blackhawk CQD Mark II Type E 4 1/2″ closed. 3 1/4″ AUS-8A stainless blade with black PVD coating. Plunge lock. Black reinforced nylon handles. Multi positionable clip. Glass breaker. Lanyard hole. Hang packaged.